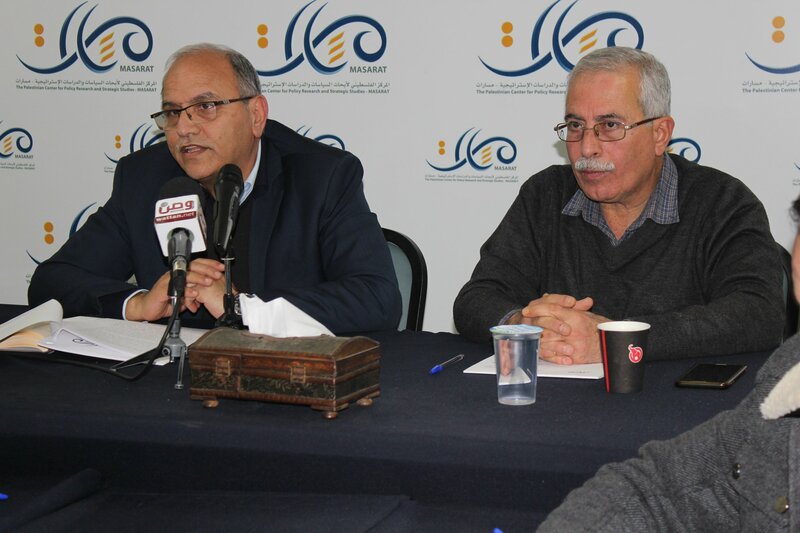 Dr. Nasser Alkidwa, member of the Central Committee of Fatah and Chairman of the Board of Directors of Yasser Arafat Foundation, proposed ten key points on how to get out of the current impasse facing the Palestinian National Project. AlKidwa was speaking during a panel discussion titled "What to do", organized by the Palestinian Center for Policy Research and Strategic Studies (MASARAT), and attended by tens of politicians, academics and activists from the West Bank and Gaza Strip via video-conference. 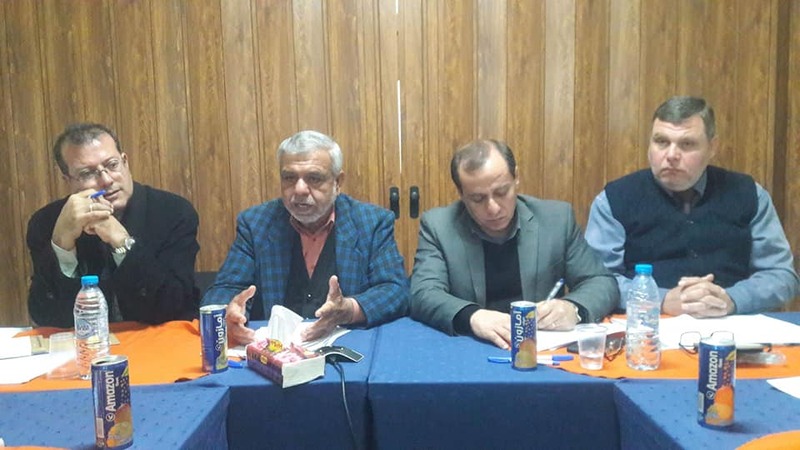 The panel discussion was moderated in Al-Bireh by Hani Al-Masri, General Director of MASARAT, and in Gaza by Salah Abdel Ati, Director of MASARAT’s office there. 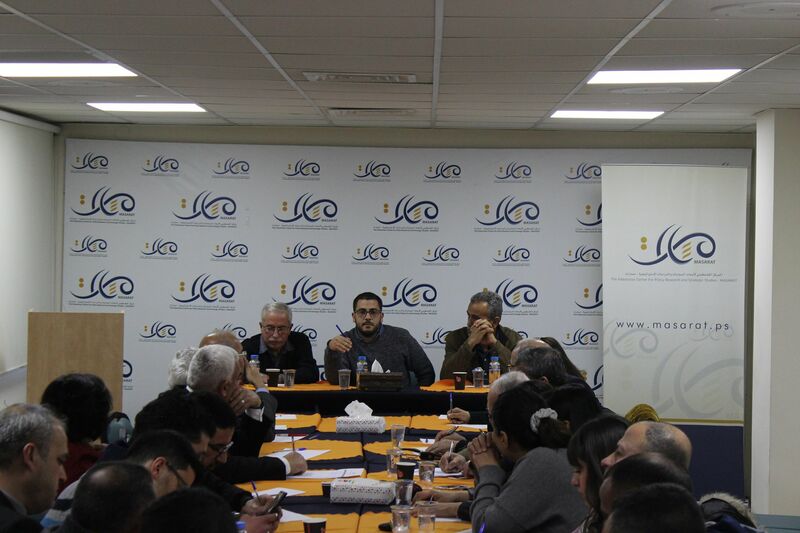 First: Reaffirm the Central Palestinian national goal and reformulate it in a clear way. It is basically the achievement of independence and the exercise of sovereignty in the State of Palestine on 1967 borders with East Jerusalem as its capital. This is based on the fact that the State does exist by virtue of the natural and historic right of the Palestinian people and by virtue of the broad international recognition of the state, which means that we are not going to get the state from or negotiate its existence with Israel. On the other hand, such reaffirmation excludes the harmful romantic talks about the so called “one state solution”, because what is being there in reality is not a bi-national state but “A Jewish State on all the territory of mandated Palestine” and expelling part of the Palestinians as well as legitimizing settlements. Second: Redefine the general approach towards solving the Palestinian-Israeli conflict. It is a political solution that excludes military actions and affirms the struggle in all fields locally and internationally with the aim of pressuring the “enemy” and defeating its practices, taking into consideration that peace has not been achieved and that we are still under occupation subject to all forms of oppression. The idea of “seducing” the Israeli side including through a policy of no alternative to negotiations but negotiations must be rejected. Third: To determine the relationship between tasks of national liberation and tasks of state-building. The contradiction between both should be solved on the basis of giving priority to the tasks of national liberation which means that the Palestinian Authority must be reformulated to deal with services while transferring political and sovereignty matters to the PLO. The doctrine of security apparatus must be revised to make sure it is in the service of the citizen. Fourth: To restore the value of the Palestinian institution, especially the political institution (PNC, PLC, political organizations, syndicates and unions, and civil society organization). These are suffering from excessive weakness reaching death at some times. The PNC is absent for twenty years, thus, the political institution must be revitalized and democratized through regular elections so it becomes the centerpiece of the national project. Fifth: To define the main danger threatening our national goal and focus on confronting that danger. It is settler colonialism of our homeland that colonizes the land, negates our presence and prevents our independence. The Palestinian side must confront this danger using the hugely important tools represented by international humanitarian law, especially the 4th Geneva Convention, the advisory opinion of the International Court of Justice, Security Council and General Assembly resolutions. Using these tools appropriately require full mobilization of Palestinian individuals and institutions to contribute to the battle against settler colonialism then comes the responsibility of the region in addition to building an international system to confront settler colonialism. Sixth: To exclude negotiations without clear agreed upon basis that is sanctioned internationally. The old approach based on direct negotiations without conditions or terms of reference should be declared a failure without any return to it. Seventh: To regain national unity, politically and geographically, on the basis of a comprehensive approach that meets with four requirements: 1) To go back to the situation pre 2007 through the acceptance of Hamas to give up its control over Gaza in all walks of life. 2) Full political partnership in the PLO, the government and bureaucracy of the authority through the acceptance of Fatah to give up its control over the current regime and to build a new regime based on partnership. 3) The presence of clear political basis including the agreement on the central national goal which should be the crux of the political program of the PLO. 4) The acceptance of the democratic nature of the regime and the rotation of power. Eighth: The adoption of economic policies to support steadfastness and production through encouraging agriculture and industrial production in lieu of encouraging consumption. Ninth: To deal with the problems of the region through confronting the extreme violent Islamists while reaching an understanding with the moderate Islamists, confronting the increasing sectarianism (Sunni versus Shiite) while dealing with Iran on the basis of Arabs versus Iranians. We should defend the national state that is subject to extreme pressure irrespective of what we think about those regimes in the States, and last to deal with the Kurdish issue respecting their aspirations while maintaining the integrity of the States where they live. Tenth: Take the political initiative while maintaining the independent Palestinian decision and regaining the strength of our international alliances. We need to maintain the organic relationships with the Arabs, the main source of support for the Palestinian struggle without giving up on our independent decision. Strengthening international relations would require clarity of Palestinian policies, regaining the necessary credibility. In this context, any attempt to change the Arab peace initiative must be rejected.